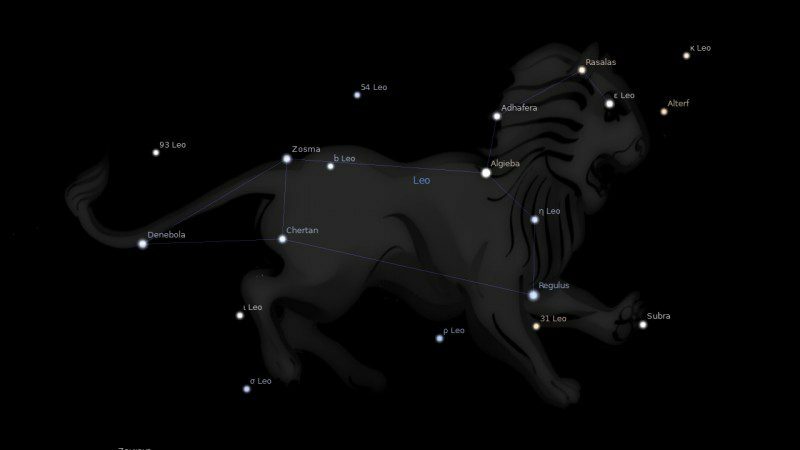 Fixed star Zosma, Delta Leonis, is a pale yellow, blue, and violet triple star on the back of the Lion, Leo Constellation. Zosma is from the Greek for Girdle. The other traditional name is Dhur, from the Arabic Al Thahr, The Back. Along with θ Leonis Coxa, it was called the Backs, or Al Háratan, The Ribs. It has Ptolemy’s fairly unusual classification as a Saturn-Venus type, like Denebola not too far from it, and thus therefore be considered as of somewhat the same nature. It holds a position of quite some strength in the Lion’s anatomy (along with Coxa, of course) and can thus be seen as a source of strength in a horoscope… showing a somewhat critical turn of mind but with a constructive intent behind it so long as the aspect and the planet on it in the horoscope are in harmony with it. 3. Fixed Stars and Judicial Astrology, George Noonan, 1990, p.32. 4. The Living Stars, Dr Eric Morse, 1988, p.61. 5. The Fixed Star Health and Behavior Imbalance, Ted George and Barbara Parker, 1985, p.69. I have my ascendant on Zosma at 11’18”. It’s really hard for me to hide if I am sad and unhappy. I can’t fake being happy at all. I wouldn’t be a good actress because it is so hard to hide the way I feel, especially if it’s a negative emotion. I feel like people can see me wear this emotion very clearly. My negative emotions seem to come across way clearer to people than my positive emotions and this can happen without me even speaking. I feel like people don’t see my positive emotions that much.They don’t tell me what they are thinking about me exactly, but I can sense what they think of me. I pick up on people’s unspoken thoughts and I can catch glimpses of their personal life without them telling me. I just need to be with them for about five minutes to start seeing it. I receive a lot of stand-off vibes from people like my energy alone throws them off. Sometimes the tone of my voice sounds sad or beat down. The ones I attract the strongest and get to know the deepest are really unhappy with their lives and they come to me feeling relieved, like I can make it all better for them. But often times they become parasitic to me and drain me of my own energy. They feel like I can relate to their problems. I’ve always been a cushion to fall on. I’ve always been a receptive ear for people’s deep unhappiness and unlucky stories. Something negative that often occurs, is my feeling that my presence alone can put one in touch with their unconscious negative emotions and that makes them uncomfortable or freaked out by me so they distance themselves. I can really relate to this with Moon on Zosma and not being able to fake my moods. As for being drained by psychic vampires, you can turn that around but it is not natural for us to turn a cold shoulder, its takes effort and feels uncomfortable at first. I think it tool a Pluto transit to bring out that ruthless nature in me. Interesting about the Pluto transit. I hope that goes the same for me because I have one coming up soon. It really isn’t in my nature at all to be ruthless and it’s hard for me to reject people even if they are sucking energy from me. After so many negative experiences in relationships you would think I would be able to handle this dynamic better but it’s a pattern that can’t seem to break itself. I am heading for 50 and this is only a recent change. but still not a ruthless person at all, having kids also taught me to be more selfish with my energy, to save energy and resources for them and not give it away for free to leeches. Zosma feels like an ancient pure female soul. An overlooked gentle being. Unable to be tainted. I have Saturn, Moon and N. Node on Zosma (all of them within 1° orb) and I can only confirm every single point from depressions, great visions (this one the most!! ), sensitivity and with Saturn also breathing problems, tension in the chest and asthma too. Too bad you don’t have any info about the node on that point. Excellent feedback Madonna. We are developing an accurate picture for this star now. With lunar nodes I usually combine any interpretations for the Sun and Moon. In your case this star is all about your past and your karmic journey. You must have been a very significant oracle back in the day. I would even say in a major temple of the major temple of a great civilization at the height of its power. Babylon is stuck in my mind. What about Jupiter on Zosma Asc? I have Uranus on Zosma what would that do. Would it increase the effects of a sharp mind perhaps or mental instability? I have this star exact on my ascendant also exactly conjunct my Virgo moon. This post is beyond accurate. In the past when I’d just start dating, a woman’s name would suddenly start running around my mind and when I’d spew it out loud, so randomly at times, sometimes incorporating a story about a celebrity with the same first name….whichever man I was with would look a bit different. Any time that happened I started knowing, the guy would still be in another relationship while trying his luck with me, and the name in my mind was the exact name of the other woman. I’d move on right away as these things happened…and when I was in the long term relationship, near its end I also could here another woman’s name, and easily understand why he was suddenly so nice…and that is who he left me for…depressing right? or maybe that is why the star is also attributed to depression. this coming full moon, or a stronger challenge by the Sun and Neptune opposition towards it where some events or people may try even harder to make you have doubts against your strong intuition to further their own ends, because in truth this star, is a tool to move forward at a faster speed than others? Interesting horoscope I found this star rising in Virgo conjunct Dwight D. Eisenhowers Saturn within 2 degrees. Eike had Virgo rising in his ascendant with other stars that reflected connection with the masses and catastrophes which is exactly what Eike used his service to mankind on D Day. Saturn was also square Pluto and Neptune in Gemini connoting lots of forceful energy toward radical changes. Not yet. Maybe when I find some famous people with it we will get some clues. Thankyou! ☺️ Haha hopefully somebody with it finds fame soon. Will be curious to see someone else who has it. Zosma is conjunct my Venus/MC. Jamie, the asteroid bearing my name sits exactly conjunct Zosma in my natal chart. I have had a lot of stomach issues and have also been poisoned at various times in my life, and I suffer the last years from a chronic illness that is directly linked to both points. I can also identify very well with the Saturn/Venus influence, however those life challenges and trials have also provided me with benefits and positives as well… As example, the asteroid Karma sits on top of my Venus along with the asteroid bearing my husbands name! When we met, Saturn was also exactly opposite Venus on my ascendant axis! Don’t you just love astrology?! Yes Maria I sure do. 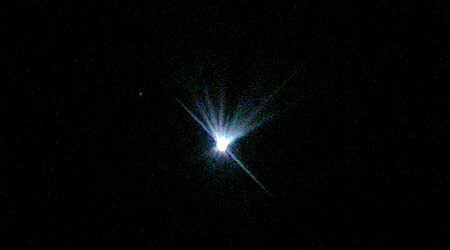 I checked out so may asteroids and found similar astounding connections, especially in synastry. Jamie I’ve just clocked that in my progressed chart the asteroid karma and my Venus (which turned retrograde almost exactly when I met my husband) will soon conjunct Zosma (which as I noted above is natally conjunct the asteroid bearing my name). Any take on what prog Venus R conjunct Zosma would mean (and obviously it relates to something karmic!) Thanks for any insight you or others may have! my husband has his IC perfectly on Zosma…and he IS THE ORACLE..(rahu is also nearby..but out of orb of the fixed star)..maybe the orb is increased with the IC. He can find me…anywhere in the city without a clue or a cell phone.. He..can download the answers to complicated questions..like what is the cause of a problem. He is a “machine whisperer”..fixes expensive large carpentry machines…and he “gets” the answer to what is wrong specifically with the machine..while he’s driving toward the machine..he can solve problems that have stumped other for months…because the answer just lights up for him..
One time I called him on the phone..to locate a small item..can’t remember what it was now..but He said without hesitation..it is in the outside pocket of a black suitcase..that is in the attic…and YEP …he was right..